I first dabbled with LA Splash a couple of months ago, reviewing 'Hidden Desires'. 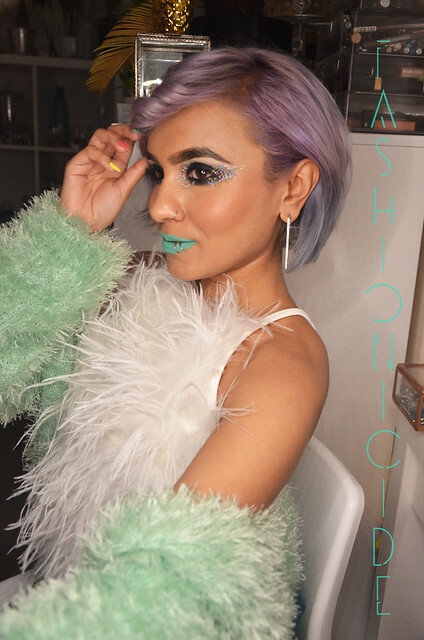 I'd hoped it would turn out to be a dupe for Lime Crime's 'Airborne Unicorn' but it didn't turn out quite that way. And this kind of set the tone for my relationship with LA Splash's lipsticks - plenty of promise, but with disappointments along the way. The longevity of 'Hidden Desires' and the fact that it felt like a dream to apply, convinced me to splash out (see what I did there?) on the Lip Tint Mousse in Severo. The colour is of course, fantastic, but we've all bought lipsticks in the past based purely on colour, only to be stung later on by an unappealing formula or disastrous longevity. But my experience with Hidden Desires convinced me that there was nothing to fear here, at £9.95 it's still a fairly high price to pay. Sadly, everything that was great about Hidden Desires was horrible about Sevaro. I really can't imagine what went wrong at LA Splash to produce something so awful. Sure, the colour is simply stunning, but the texture of it is so thick, I actually felt like I was applying a tin of Dulux to the lips. It did dry to an opaque, matte finish, however literally seconds after drying, it began to crumble. Needless to say, sipping away on my fresh mug of tea, I found a few crumbly bits of mint floating around in it - the durability is just shocking. In summary then, if you're doing a sponsored silence and sponsored fast all in the same day, this lipstick is what dreams are made of. If however you plan on talking throughout the day, eating or even drinking, I'd avoid this lipstick like the plague. It's so bad, I even went bargain hunting on Black Friday to find something better. Just so you are aware, I regularly exfoliate my lips and generally take great care of them. I am in love with matte lipsticks, but matte lipsticks are not in love with lips that are in bad condition, they highlight every single flaw - so for me, lip care is of the utmost importance. It just so happens that this lipstick did not work out at all for me! And that's where the big disappointment lies really. 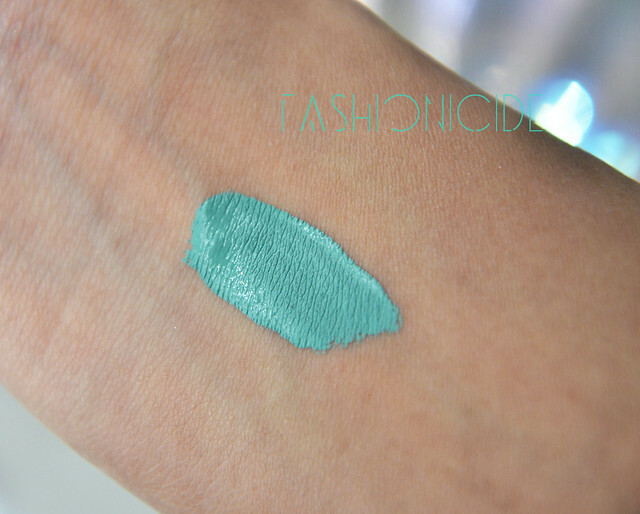 I found the perfect looking matte, mint coloured lipstick, but it falls down in the fact that it should probably be painting walls, not adorning lips. Let's see if Lime Crime's offering works out any better. So, now that I've wasted £9.95 on this awful, awful lipstick the question is how am I going to get my money's worth? My plan is to actually give it a try as an eyeliner, see if that works out any better. I'm not gonna hold my breath though. Have you tried Colourpop? 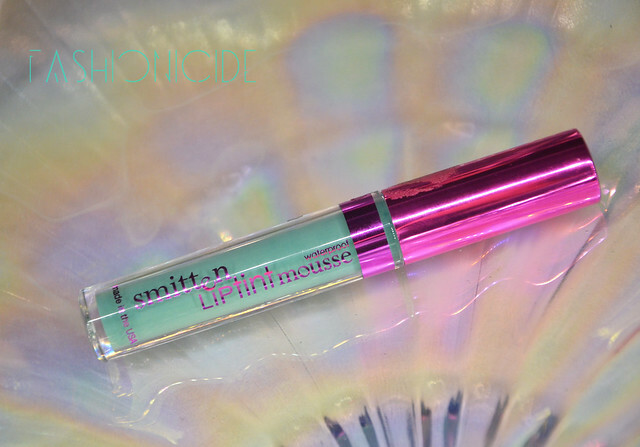 I had the same experience with LA Girl matte glosses (what a juxtaposition of a term, eh?) - sticky, think, and over drying. Colourpop is significantly better although their shades are all pretty much the same. So I bought the Harry Potter lip tint mousses in Lovegood and Nympadora which I absolutely LOVE the shades of and of course being a huge HP fan I adore owning products linked to HP. I cannot explain how much I love Nymphadora on my lips but I have the same issue- how it dries is literally like paint; I did find that it lasts pretty much all day (barring the floaters in hot drinks) but I tend to wear it with tonssssssss of lipbalm underneath, dab it with my fingers and still it dries to the driest finish. I'm thinking of mixing it with Vaseline, screw the matte finish, I love the colours so much!